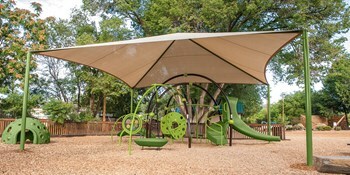 At Carolina Parks and Play, we create playgrounds and play spaces that are guaranteed to keep children active and engaged for long periods of time. Although outdoor play is an important aspect of childhood development, we also consider it a priority to keep kids protected from the strength of prolonged exposure to direct sunlight, and to reduce the risk of over-heating during the hottest months. 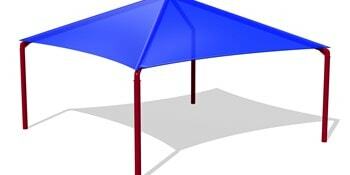 That’s why we offer a full range of Cool Topper shade structures to watch over your children as they play. 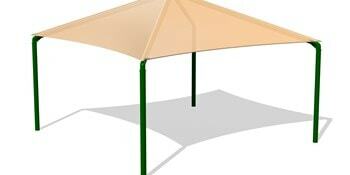 These unique shade systems are designed to attach to existing structural posts or be free-standing in nature. 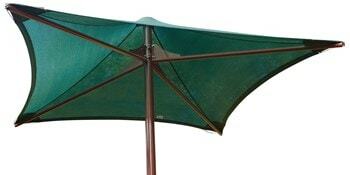 Cool Toppers keep playground temperatures up to 30 degrees cooler. Whatever design you choose, the toppers will shade youngsters from up to 90% of the sun’s harmful rays, and allow for hours of worry-free playtime. 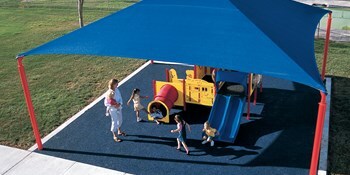 Cool Toppers can cover the entire play area, portions of the playground, or picnic and rest areas. 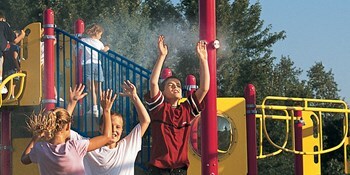 As an additional option, Cool Misters can be added to your design, adding an increased level of summer fun to your playground, while allowing kids to cool off as they play. Every kid loves being outside playing in the sun. 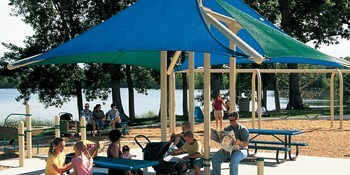 Cool Topper options from Carolina Parks and Play make it possible to play longer – and more safely – no matter what the weather.